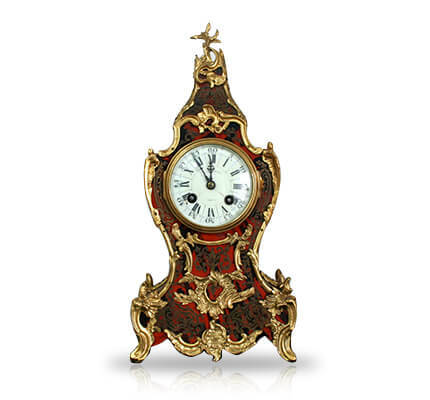 It is important that your treasured watch or clock is insured just in case you ever need to make a claim. In the unfortunate event of a loss a written valuation will make your claim much easier by establishing ownership and providing proof of how much your item is worth. Here at S Michlmayr and Co Ltd we provide a professional written clock valuation document for your insurance company. You will be provided with two copies, one to give to your insurance company and another to keep for your own records. The documents include photographs, a description of your item, including all reference numbers, and a current replacement value. It may not be possible to replace older or antique items with new therefore they are valued on the basis of replacing them with a similar previously owned piece or the nearest equivalent new model. A written valuation may also be required for probate, a personal sale or just for your own interests. We do not charge a percentage of the value of your item like many other companies. We charge a fixed fee of £75.00 + VAT for one written clock valuation. For more than one item we will agree a price per consignment. If you need a valuation before selling a timepiece, please speak to our team about watch repairs and servicing along with clock or watch restoration as a working, well looked after timepiece will always be worth more.